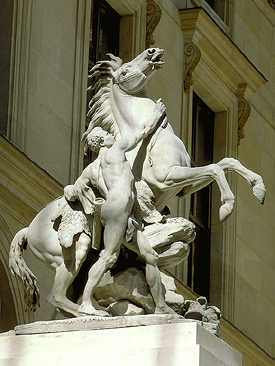 Sculptor: Guillaume ler Coustou, 1677-1746. Commissioned by Louis XV for the horse-pond at the Chateau de Marly. Champs-Elysees. They entered the Louvre in 1894 and are on display there today. 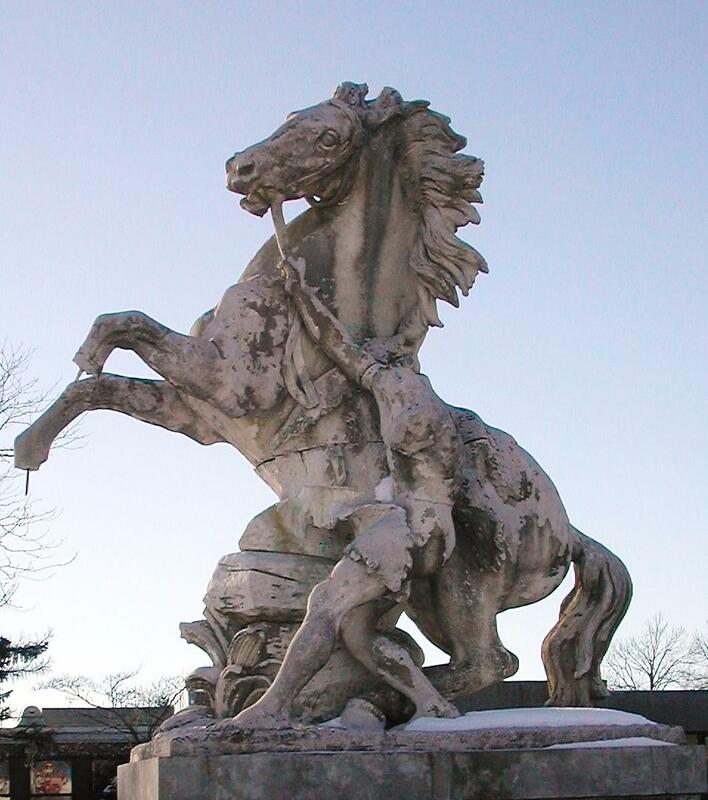 Clarence Mackay had full size copies of the Horses of Marly in pink marble mounted on high pedestals at the west end of his formal gardens. The gardens were originally laid out by Guy Lowell during estate construction (1899-1902). The gardens were redesigned/replanted by Jacques Greber, c.1910. 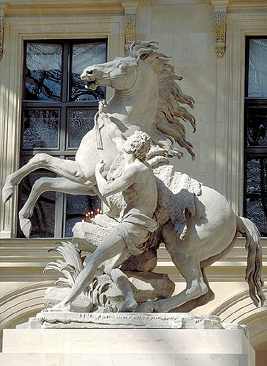 The Mackay Horses of Marly were probably installed by Jacques Greber. 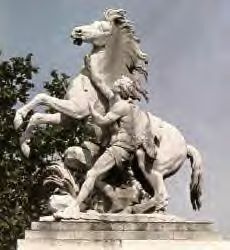 Same Horse of Marly statue above, was relocated to the "front yard"
of Roslyn High School, Roslyn, NY, in the early '50s. In the early '60s the statue was moved to the entrance circle where it stands today. The statue at Roslyn High School has been professionally and beautifully restored several times before by Roslyn sculptor and painter, George Gach. (See picture on page 118 of Roslyn-Then And Now, 1992 Edition). will it or can it be restored again?